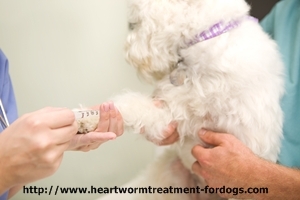 Home→Heartworm Disease News→Why Is A Heartworm Test Required Before Routine Surgery? The damage that adult worms cause is significant. The extent of the damage will depend on how long a dog has suffered with the infection. If a dog has a current infection that has not been diagnosed, even a routine surgery can be dangerous. The adult parasites attach to tissue in the heart in addition to damaging pulmonary arteries. This makes it more difficult for the heart to pump blood to the rest of the body including the lungs. Since arteries are sustaining continuous damage, blood clots begin to form. Arteries become dilated and restrict normal blood flow. The blood cells carry oxygen to all areas of the body. If the blood flow is restricted, the oxygen level within the body may decline. This can cause complications during surgery and can impede the healing process after surgery. Since your beloved pet will be under anesthesia, proper breathing, and blood flow is essential during surgery. In areas of the country where parasites are prevalent, a heartworm blood test is important prior to any surgery. In fact, many shelters in high incidences areas test for the parasites before providing spaying or neutering for shelter animals. 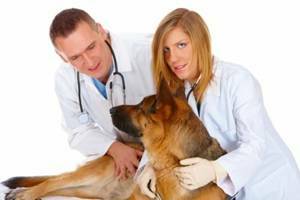 Veterinarians must also protect their practice and license by taking extra precautions before conducting any surgical procedure. Imagine having to tell a pet owner his or her pet suffered serious complications during surgery due to a heart worm infection. While many pet owners are concerned about the added cost of an additional test to detect heartworm infection prior to any elective surgery for their dog, this cost is minimal in comparison to the problems that could be caused by an undetected problem during even minor, routine surgery.